10 th Anniversary Limited Edition " Sleep Fairies"
This year celebrates the 10 th anniversary since our company was established . We really appreciate our customers being with us. To celebrate the 10 th anniversary, we are having a special event. - The first 10 people to purchase Sleep Fairies will receive 50 Point. 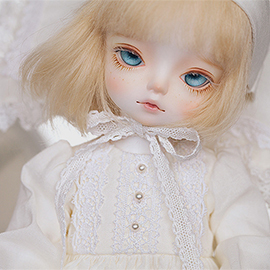 - The 11 th person to the 20 th person to purchase Sleep Fairies will receice 40 point. - The 21 st person to the 30 th person to purchase Sleep Fairies will receice 30 point. - Everybody after the 31th person to purchase Sleep Fairies will receice 20 point. Points will be credited on the day of purchase and reserves will be available from the next order. Sale ends Feb. 7 and sale period can be adjusted according to the sales.